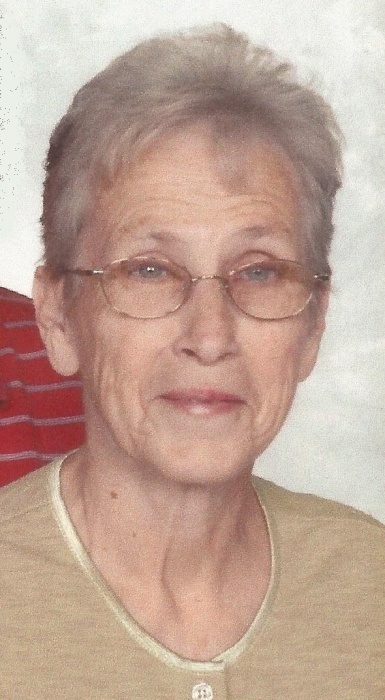 Evelyn Marie (Brown) Sams, 81, of Aurora, IN, passed away at 06:15 PM, Thursday, March 21st, 2019 at her residence. Evelyn was born in Switzerland County, IN on November 8, 1937, a daughter of the late Hazel (Whitham) and Everett Brown. Evelyn grew up in Switzerland County and attended Patriot High School. She was a homemaker but also formerly worked at the Shoe Factory in Vevay and the Canning Factory in Rising Sun. Evelyn was very skilled at making porcelain dolls and taught classes on the subject. She was a member of the Doll Artisan Guild and received several awards for her craft. She also enjoyed reading and loved raising her Chihuahua "puppy dogs". She was also a member of the Dearborn Baptist Church in Manchester, IN. Evelyn married Gary W. Sams on October 28, 1978. Evelyn and Gary were married over 40 years until her passing. Lisa Lane and husband Mark, of Aurora, IN; by a son, Robert McCord and fiancee Kristi Martin, of Bear Branch, IN; by a step daughter, Angela Sparks, of WV; by two step sons Anthony Sams, of Aurora, IN and Gary Sams, of Cincinnati, OH; by a sister, Lelia Hargis, of Somerset, KY; by a brother, Arthur Brown, of Rising Sun, IN; by 13 grandchildren, 15 great grandchildren, 1 great great grandchild and 6 step grandchildren. She was preceded in death by her parents, by daughters, Eugenia "Jeanie" Parker and Tammy McCord, by brothers, Richard, Lester & Norman Brown, by a sister, Mary Ravenscraft and by a granddaughter, Cody Lynn Cotton.